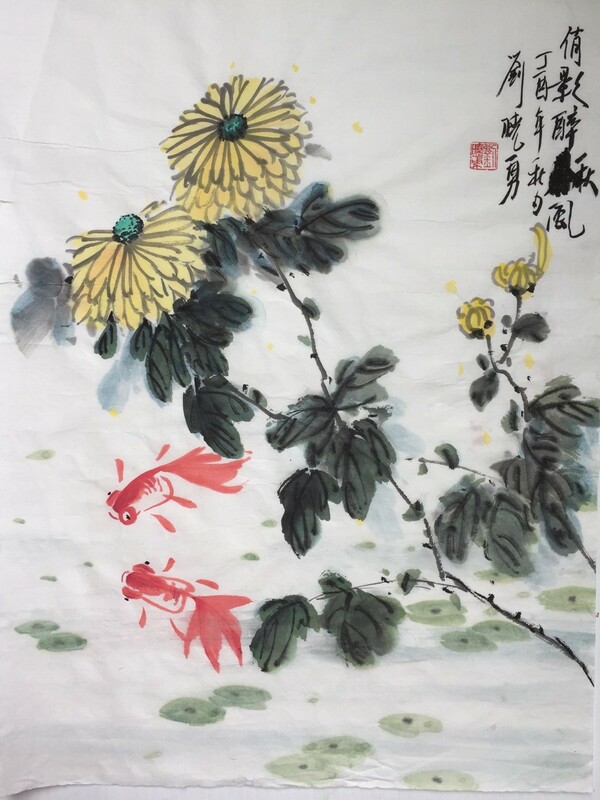 Chrysanthemum is a food and herb in Chinese culture. Learn to paint the radial disk like blooms of the chrysanthemum flower along with insects, goldfish, and sparrows this fall before the chills of winter hit New England. Class will be held on Saturday, October 13, 20, 27, and November 3. Materials will be provided. The fee is non-refundable unless the class is cancelled by BCNC. Register for the series by October 6. About the Artist: Xiaoyong Liu emigrated to the United States in 2008. 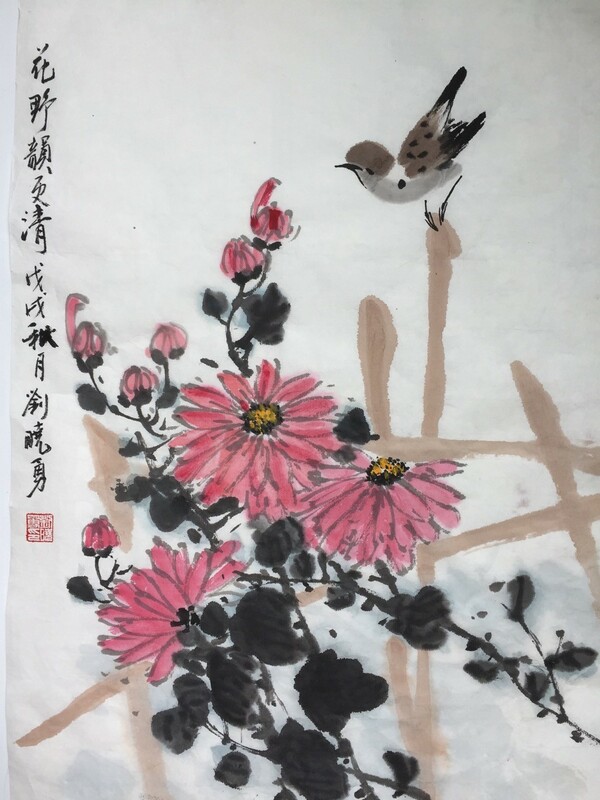 In 2009, he started teaching children and adults Chinese painting of landscapes, flowers, and birds. In recent years, his students have exhibited their art and participated and won awards in the National Teenagers Calligraphy Contests.